The co-founder of video looping platform Vine has revealed a brand new app. Dom Hofmann has unveiled 'Byte', an app that is similar in design to the original Vine. 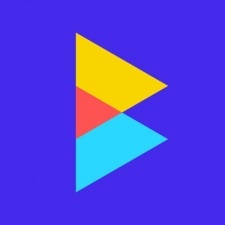 Hofmann tweeted the name and logo and confirmed that it would be a fresh take on his original video app. Byte has its own Twitter and Instagram accounts, and a website where eager Vine fans can sign up to receive updates on the app's progress. The project, previously dubbed 'V2' has been in the works for a while now. Back in June, plans for the app were put on hold 'indefinitely'. There's also a link called 'Creators' on the site, which leads through to a Google form. Here, there's a brief explanation of Byte's potential creator program and an opportunity for influencers to get on board. The link asks for an influencer's handles, and whether they were a creator on Vine previously. This could be a move to win some of Vine's previous flagship creators back, although many of them have gone on to form successful careers on other platforms. Logan Paul is an example. According to Hofmann's tweet, Byte will launch in spring 2019.